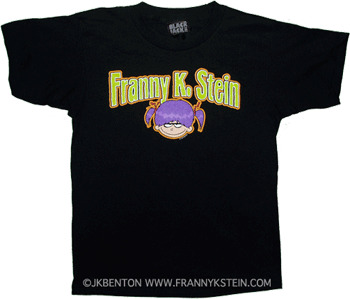 Full color Franny black t-shirt screenprinted on the front. This shirt is 100% cotton basic tee available in Toddler Sizes 4T, 5-6T, 7T, youth sizes S(6-8), M(10-12), L(14-16), and adult sizes S, M, L, XL. Cost 16.95 ea.